As far back as he can remember, Anthony R. Fiorillo, Ph.D., wanted to do one of two things professionally: play center field for the New York Yankees or study dinosaurs. Much to the detriment of his parents’ retirement plans, he studies dinosaurs. He was born and raised in the northeast, received his bachelor of science from the University of Connecticut and his master of science from the University of Nebraska. He completed his Ph.D. work in vertebrate paleontology at the University of Pennsylvania, became the Rea Postdoctoral Fellow at the Carnegie Museum of Natural History, and then a museum scientist at the Museum of Paleontology at the University of California-Berkeley. 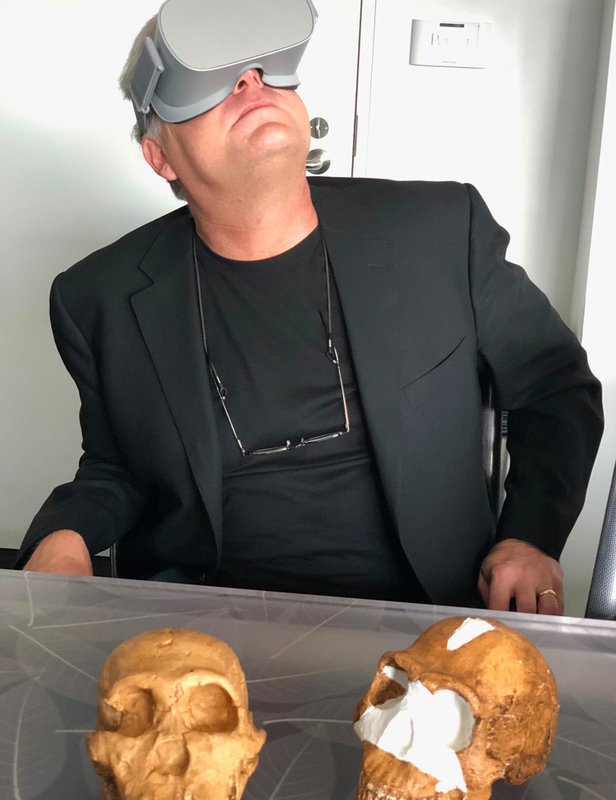 Since 1995 Fiorillo has been the Curator of Earth Sciences and in 2014 was named chief curator and vice president of research and collections at the Perot Museum of Nature and Science in Dallas. Though he has collected fossils throughout North America and parts of Asia, he has primarily worked in western Texas and Alaska. For him, the appeal of fieldwork in Alaska is the result of the combination of intellectual pursuit and the rigors of working in the Arctic environment. Fiorillo is also an adjunct associate professor at Southern Methodist University in the Roy M. Huffington Department of Earth Sciences. He chaired, co-chaired and served on the Education Committee of the Society of Vertebrate Paleontology from 1996-2004. His work in over a dozen units of the National Park Service has earned national recognition. He was named a Fellow of the Geological Society of America in 2008. Fiorillo has published over 100 scientific and popular papers. Becca Peixotto, Ph.D., remembers as a child finding artifacts around her grandparents’ old farmhouse in Vermont and keeping them in a "museum" on shelves in the garage. However, it wasn’t until Peixotto went back to graduate school after a career as an outdoor educator that her passion for archaeology flourished. She earned her BA from the University of Alabama-Huntsville, an MA from the Universiteit van Amsterdam, and an MA in public anthropology and her Ph.D. at American University in Washington, DC, where she later served as Archaeologist in Residence. In between, she taught at outdoor science schools, managed high ropes courses, led wilderness expeditions in mountain and desert environments for youth and adults, and enjoyed many personal adventures in the United States and abroad. Peixotto’s circuitous route to archaeology has opened doors to exciting research in the field. For her Ph.D. research, Peixotto drew upon her years of experience traveling off-trail in wilderness areas to find traces of 18th and 19th century Maroon ("runaway slave") communities on small unmapped islands in the Great Dismal Swamp in Virginia, helping to tell the story of one form of African-American resistance to enslavement. In 2013, when a call went out for archaeologists with caving and climbing experience to excavate hominid fossils deep in a cave in South Africa, she leapt at the chance to combine her skill sets to uncover what turned out to be a new-to-science ancient human relative, Homo naledi. Peixotto relishes the intellectual (and physical) challenges of research in remote areas where finding, excavating, and analyzing sites requires new technologies and methods as well as adapting tried and true ones, and where the landscapes, artifacts, and bones often lead us to unexpected insights into our shared human history. Ronald S. Tykoski, Ph.D., started on his paleontological career as a child, collecting fossils of brachiopods and corals from nearby farm fields in his home state of Michigan. During college at the University of Michigan-Ann Arbor, he met his wife while they both worked as docents at the University of Michigan Museum of Natural History. He also worked in the University of Michigan Museum of Paleontology, where he first learned fossil preparation skills and methods. 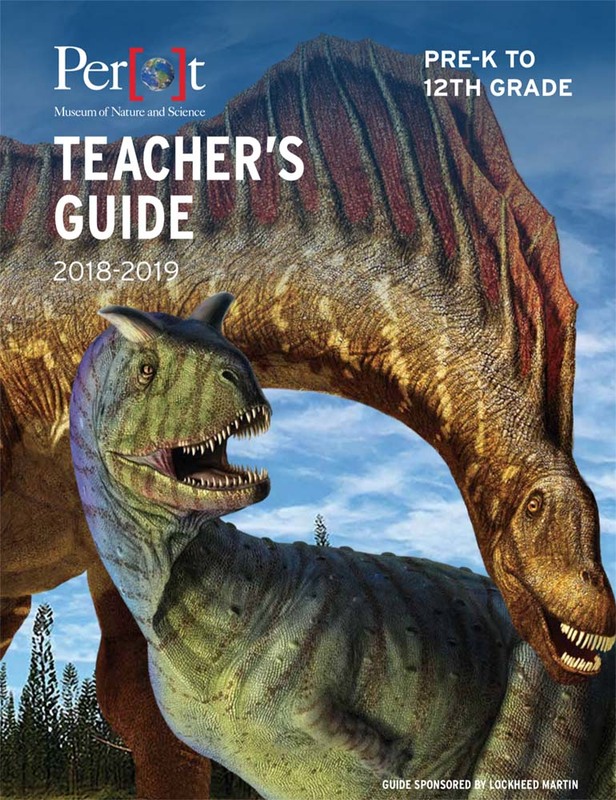 Tykoski began graduate studies in geological sciences at the University of Texas at Austin, where he focused on determining details of the anatomy, growth patterns, and evolutionary relationships of early meat-eating dinosaurs (theropods) and their kin. He earned a master of science degree in 1998 and a Ph.D. in 2005, before joining the Perot Museum of Nature and Science (at that time the Dallas Museum of Natural History) as the Museum’s fossil preparator that same year.